Ceiling fans can circulate air up to a tremendous 43,500 CFM, creating a mild windchill that cools the animals. Continuous air movement speeds up the drying of floors, bedding, walls and ceilings. 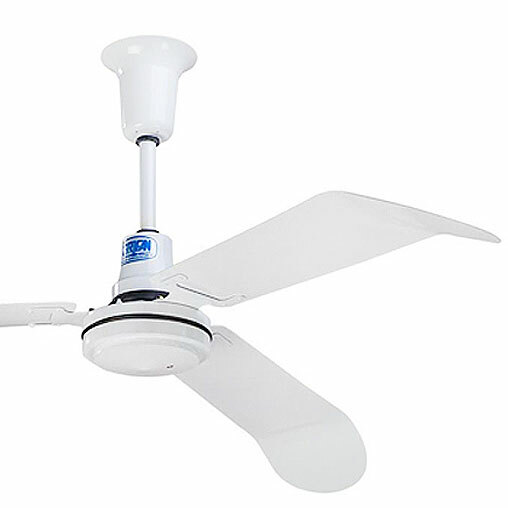 Ramm's commercial grade ceiling fans are a tough fan for tough conditions. These fans are built for agriculture and has been proven in the industry to stand up to the tough conditions of equine and other wet, dusty or extreme heat areas. They have been manufactured for over 25 years with the same design. Composition: Heavy-duty all metal - no plastic. Blades are aluminum for both strength and efficiency.